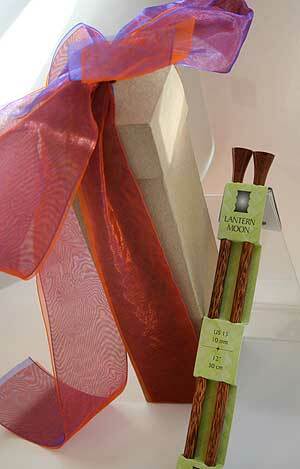 A beautiful and thoughtful gift - the needles that we all lust after - lantern moon. Beautiful, silky smooth, and a tool that elevates knitting to a transcendental experience. In reddish rosewood, deep dark burnished black ebony, or fantastically patterned palmwood (in larger sizes only). Mix and match a set to really wow 'em.